U.S. government eased travel restrictions to Cuba this year, the island is ready to welcome more visitors. Matthew Kadey bikes through the lush landscapes and opalescent beaches of Cuba and finds a warm welcome from local residents. Nicholas Gilman travels to Cuba and samples the cuisine at restaurants, cafes, street vendors and paladares in Havana–restaurants in people’s homes. 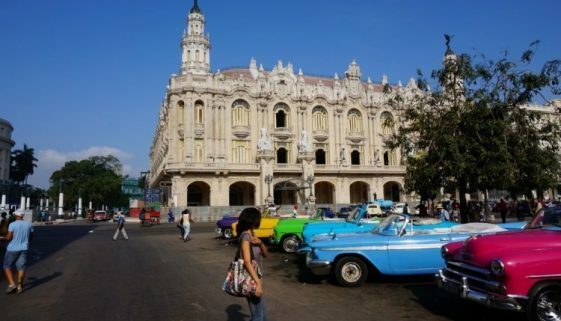 Anonymous travels to Cuba and describes the history, the cuisine, the natural beauty and the nightlife. Cuba | Travelers’ Tales Cuba, edited by Tom Miller, gives deep insight into the rhythms of life and travel in Cuba. A collection of travel stories about Cuba. An American Housewife in Havana: A tale of Hardship and Beauty. Isadora Tattlin tells the story of moving to Cuba and feeling the hardship of the locals. Sharing a women’s Espiritu practice in Cuba, a very old tradition in the rural parts of Cuba that involves chants, cigars, and rum.